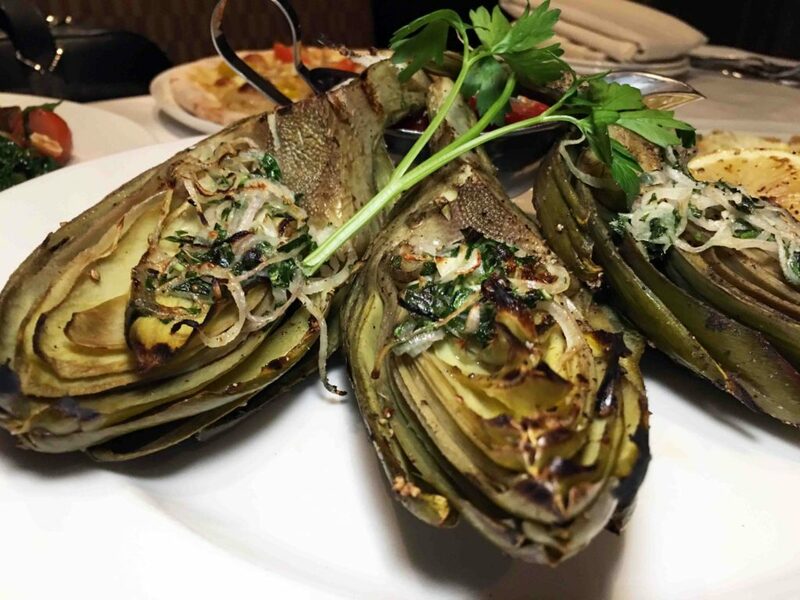 Spring has sprung, and along with it comes artichoke season. MCH Hospitality Group’s d.vino Italian Food & Wine Bar (along with sister property Market City Caffe in Burbank, CA) partners with Ocean Mist Farms in Castroville, CA, to present their 8th Annual Artichoke Festival, from March 14 through April 14. 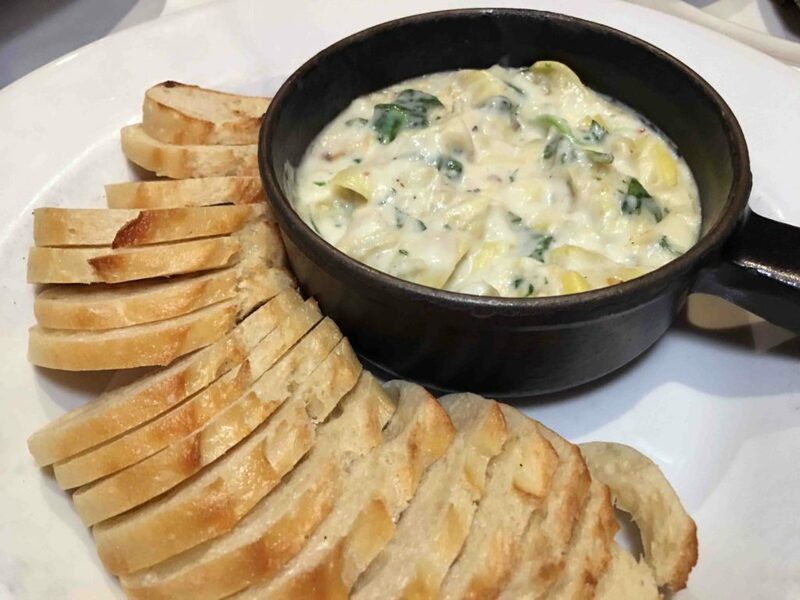 This special menu includes 8 dishes created by Executive Chef Martin Garcia including appetizers like Artichoke and Spinach Fondue, with shallot-garlic cream, grana padano cheese, mozzarella cheese, baby spinach, white truffle oil, and toasted baguettes. 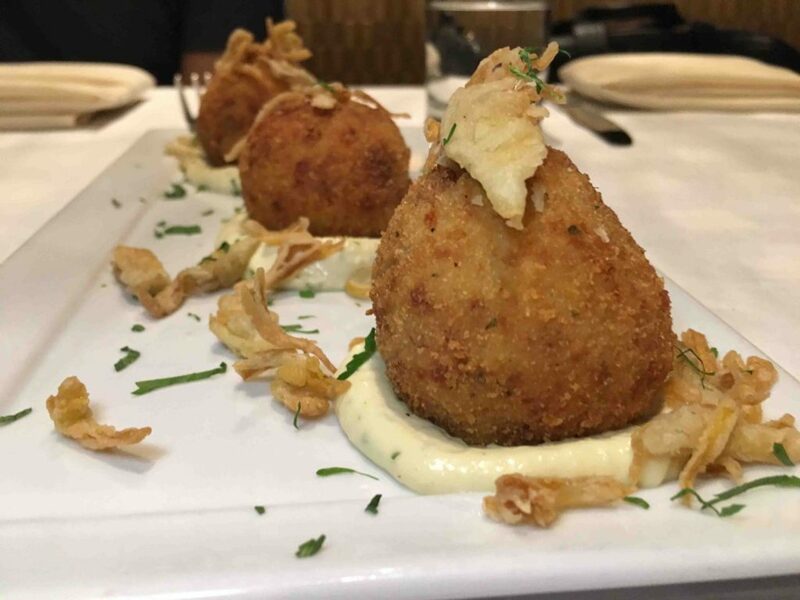 One of my favorite selections was the Artichoke and Bacon Arancinis with applewood smoked bacon and mascarpone cheese, served with lemon artichoke aioli and crispy artichokes. Arancinis are deep fried balls of risotto. The ever-so-slight acidity from the lemon artichoke aioli was a perfect touch for the arancinis. 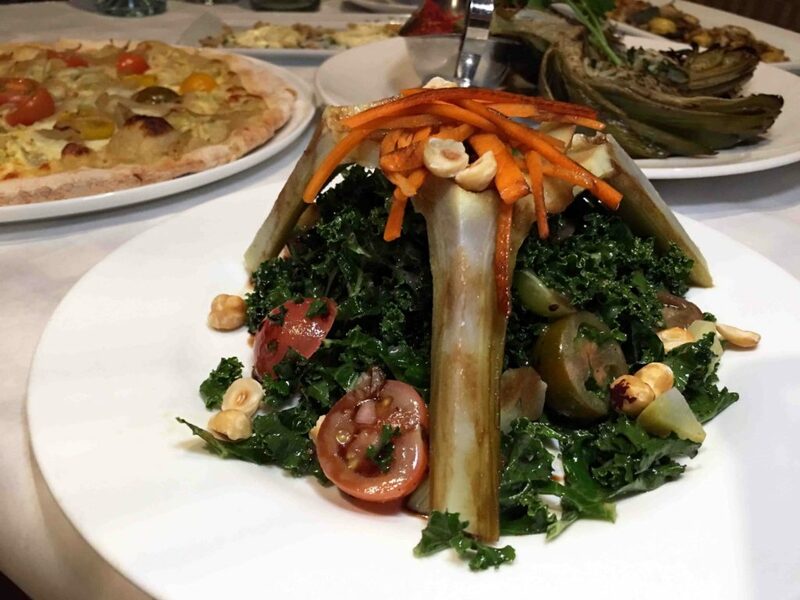 If you are looking for a lighter option, the Artichoke Salad features marinated artichoke hearts over a bed of Tuscan kale, red wine vinaigrette, carrots, and toasted hazelnuts for crunch. Although all the dishes feature artichokes, the true star of the show was the Grilled Artichokes with shallots, parsley, basil, fresh garlic, and d.vino’s delicious pomodoro sauce. 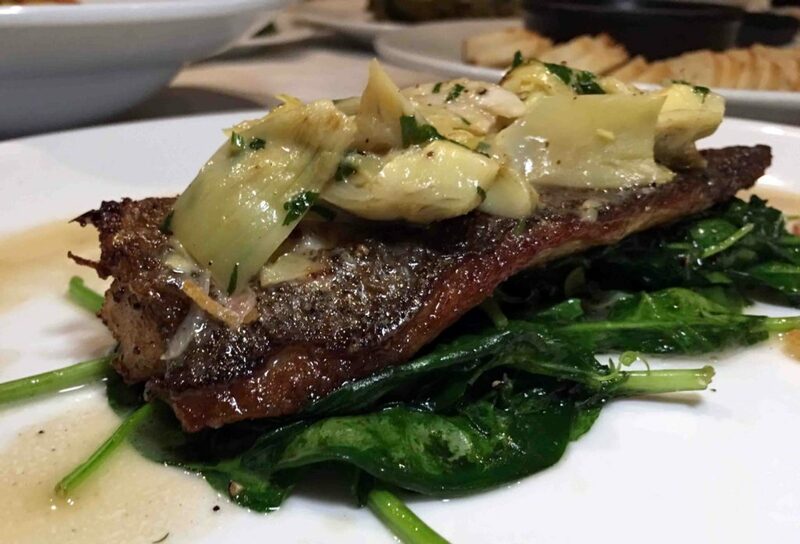 Chef Garcia created 4 additional options, including Artichoke and Pan Seared Striped Bass, served with sauteed spinach, and finished with an artichoke lemon white wine butter sauce. 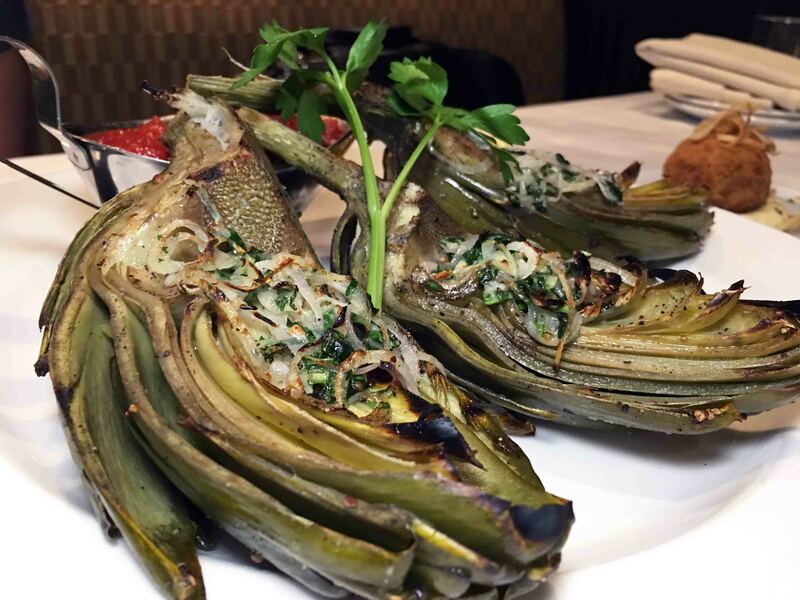 The striped bass has a mild flavor, and a buttery texture, that like the grilled artichokes, is enhanced by the addition of lemon. Looking for carbs? You have come to the right place!! 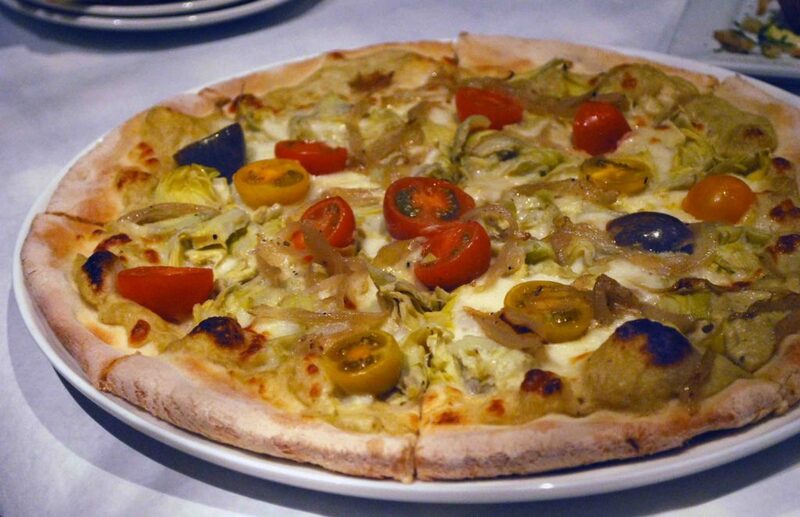 A creamy artichoke sauce replaces tomato-based sauce on the Artichoke Pizza, topped with baby artichoke hearts, caramelized onions, and heirloom tomatoes. 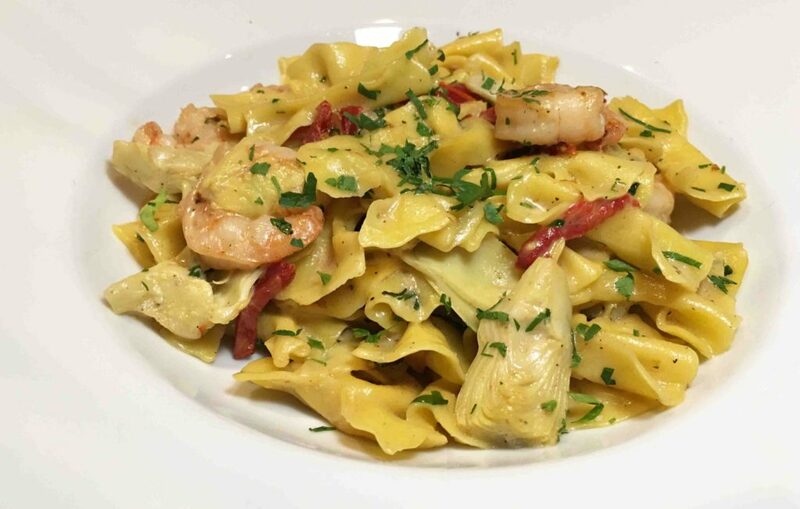 Shrimp, sundried tomatoes, and braised artichoke hearts are combined with a trebbiano wine sauce in the Artichoke Farfalle Pasta. The Pasta was so delicate, and the shrimp were perfectly cooked! 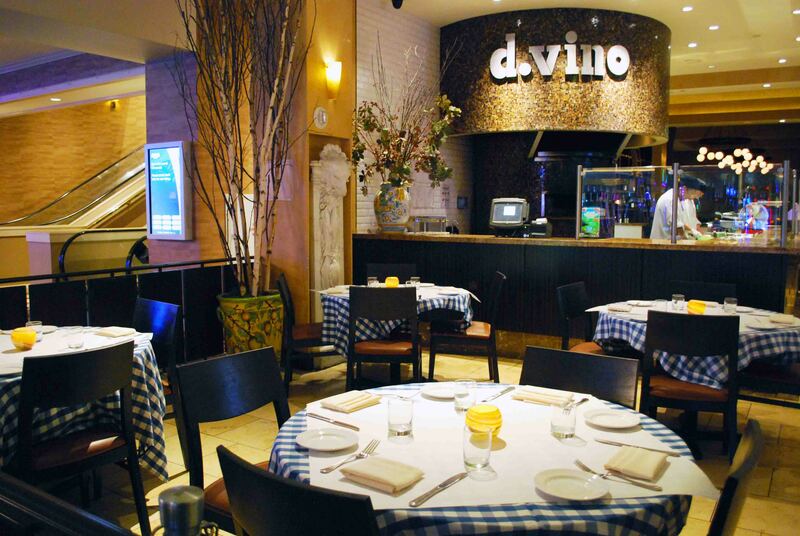 d.vino is known for their ravioli, and the Artichoke Ravioli certainly live up to the hype! 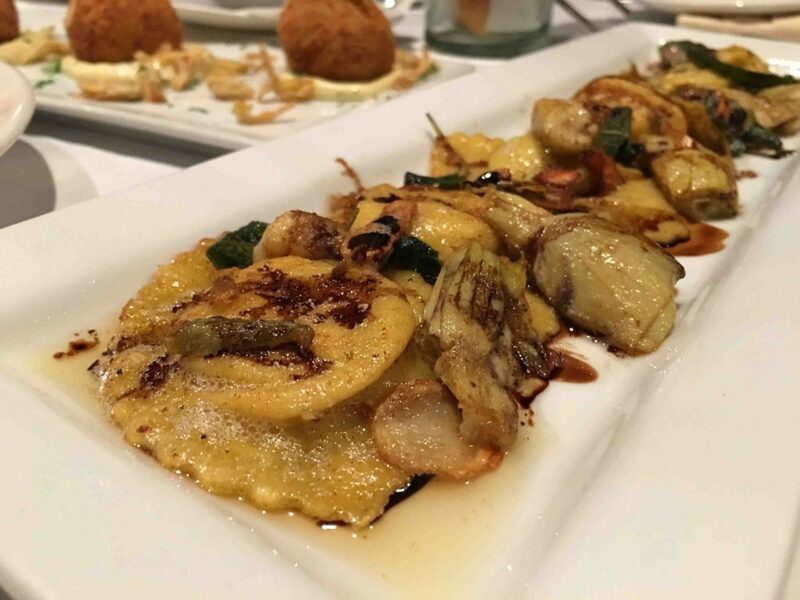 Delicate pillows of pasta are stuffed with ricotta, parmesan cheese, brown butter and sage sauce, then drizzled with aged balsamic and topped off with shaved artichoke heart. Thanks to d.vino for generously allowing me to sample the entire Artichoke Festival Menu! 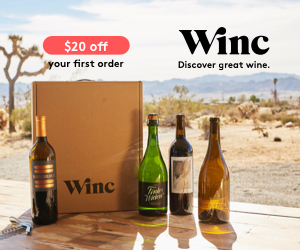 Try it for yourself, now thru April 14. I started cooking and baking at 4 years old, when I smashed an egg on the floor, while my mom and grandmother were making a cake, and gleefully declared I was helping. I spent the first 3 decades of my life in the sleepy mountains of West Virginia, before heading west to the desert, and the neon lights of Las Vegas. Growing up in a rural area, about 3 hours south of Pittsburgh, I appreciate the simple things – like a plump heirloom tomato, straight from the garden. Moving to a cultural food mecca has expanded my culinary horizons, introducing me to flavor profiles from around the world...and to the joys of being able to have a Bloody Mary before 1 pm on a Sunday. 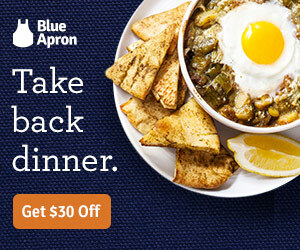 I love to travel, and try locally-owned restaurants wherever I go. I have a soft spot for tacos, sour ales, kombucha, and macarons. 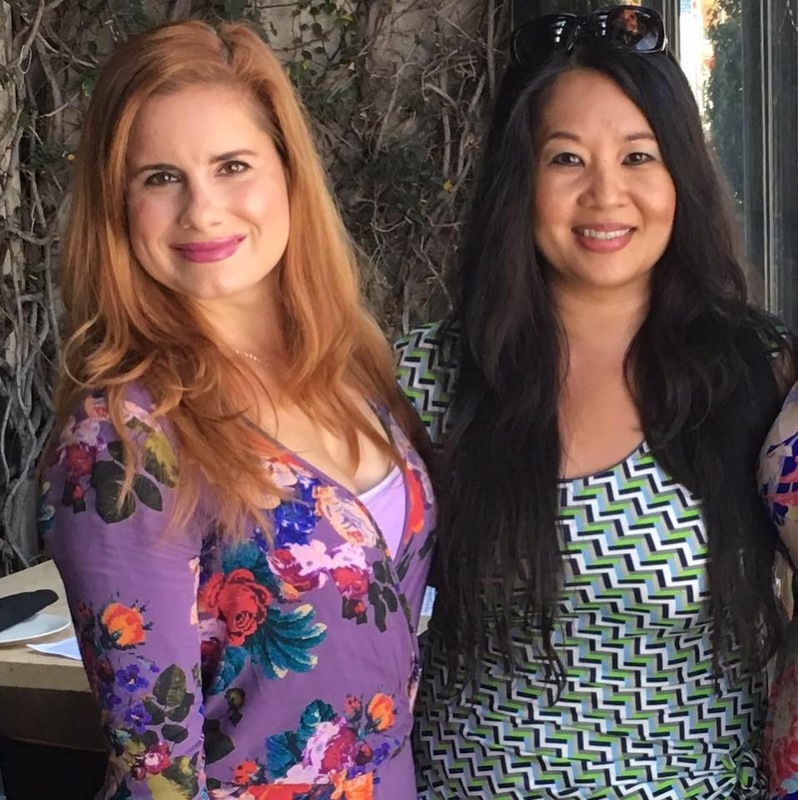 Keep up with my foodie-ventures on instagram, @HungryInVegas!